This Off-grid Solutions Project is one of Panasonic's corporate social responsibility initiatives that are aimed at celebrating the centennial of the company's founding. This project is intended for communities in Asia and Africa with a large off-grid population, where Panasonic works with NGOs that are making efforts to address social issues. 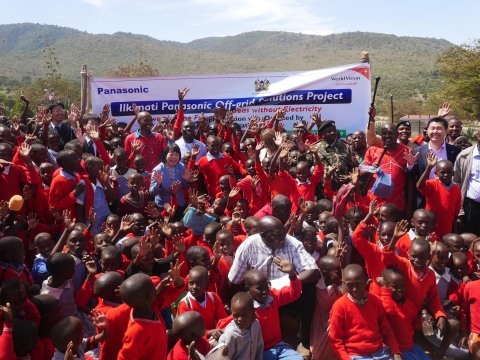 In Kenya, World Vision implements this two-year project as the partner organization (To learn more about the project: http://panasonic.net/sustainability/en/power/solution/).